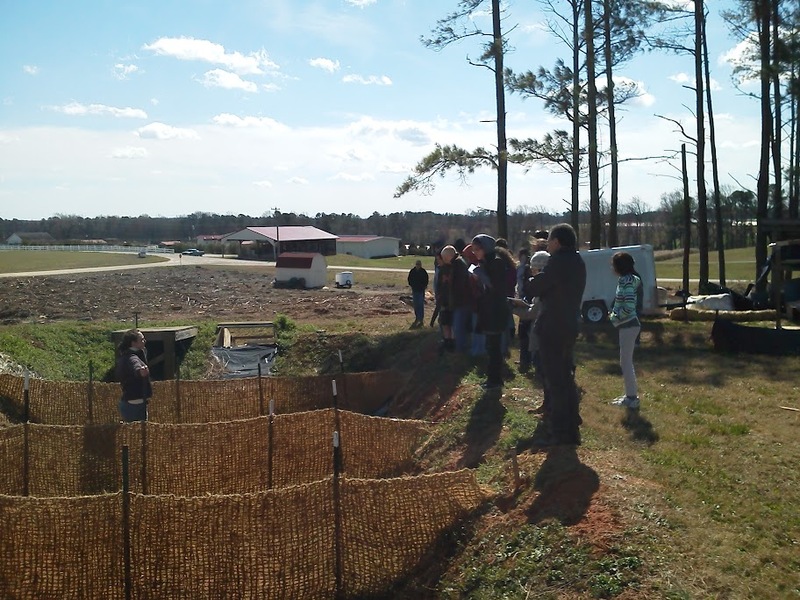 Since I arrived at NC State for my graduate studies, I’ve helped out every spring with teaching a “crash course” on soil science to local Envirothon competitors. Envirothon is an academic competition for middle and high school students. They take five exams, one each on soil science and land use, forestry, wildlife, aquatic ecology, and a current environmental topic. You can read more about the competition on a previous post on this blog about Envirothon. I’ve teamed up with fellow soil science graduate students from my department, and with fellow members of our student chapter of the Soil and Water Conservation Society. This year I had the help of a professor in soil science, David Lindbo, and a fellow grad student and SWCS member, Virginia Brown. We started off with Dr. Lindbo discussing why soil is important. Then I went in to soil horizons, soil color, and soil development in relation to the 5 soil forming factors. After that, Virginia gave a talk regarding soil erosion and soil and water conservation. 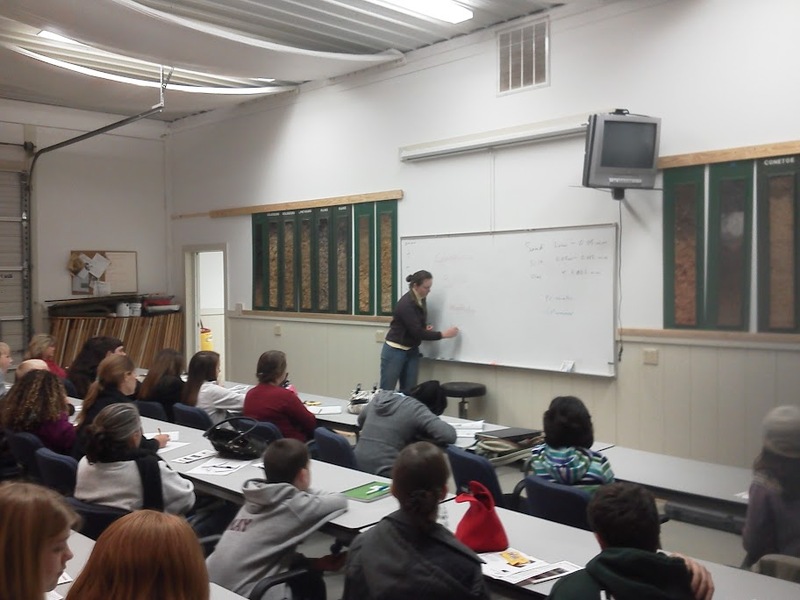 We ended the indoor portion of the soils crash course with a hands-on lesson on how to use a county soil survey report. We ended the day with a tour of some best management practice (BMP) experiments that Virginia’s research group has been evaluating. These students are great. They rival, and many times exceed the abilities and knowledge of many of the undergraduate students I’ve taught. In other words, they’re smart cookies! We had 19 students in attendance, with over a half dozen parents and group leaders. They have their regional competition on March 25. I wish them all the best of luck. The top teams in the regional competition go to the state competition. The top teams at the state competition will compete in the national competition this summer and will compete for scholarships. This entry was posted in Envirothon and tagged David Lindbo, Envirothon, soil science, SWCS, Virginia Brown. Bookmark the permalink.